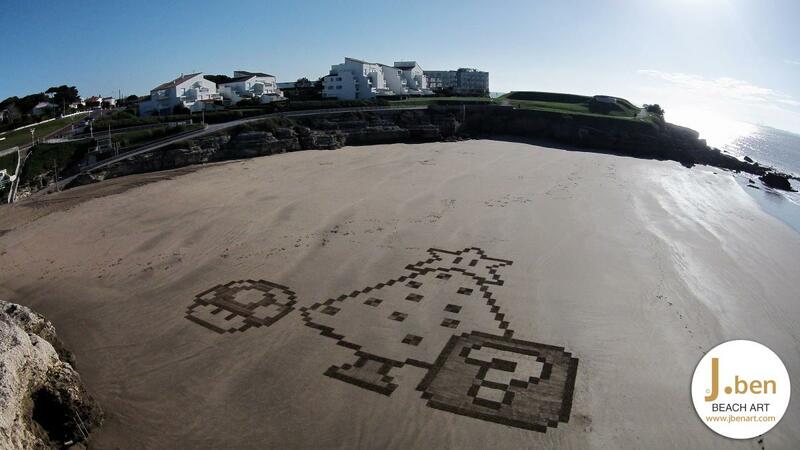 As Christmas approaches everyone prepares his tree, well me too, and in my way! 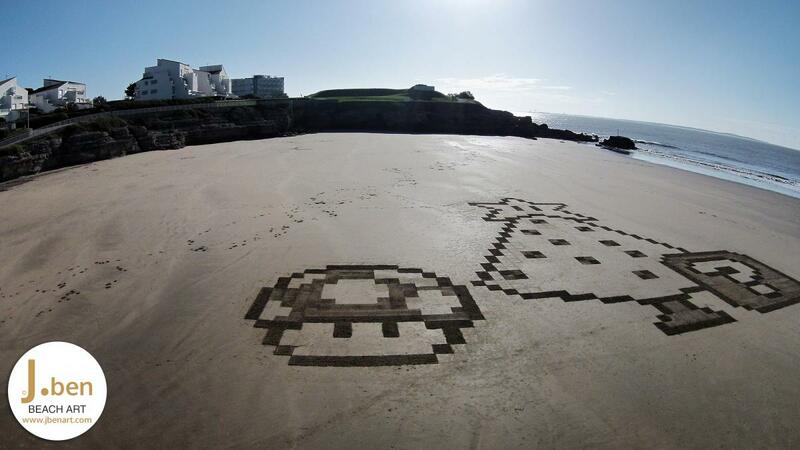 So I have prepared for the occasion which seems to be a world premiere in the world of beach art, a pixel beach art with this tree Mario Bros, history meet our little geek side! 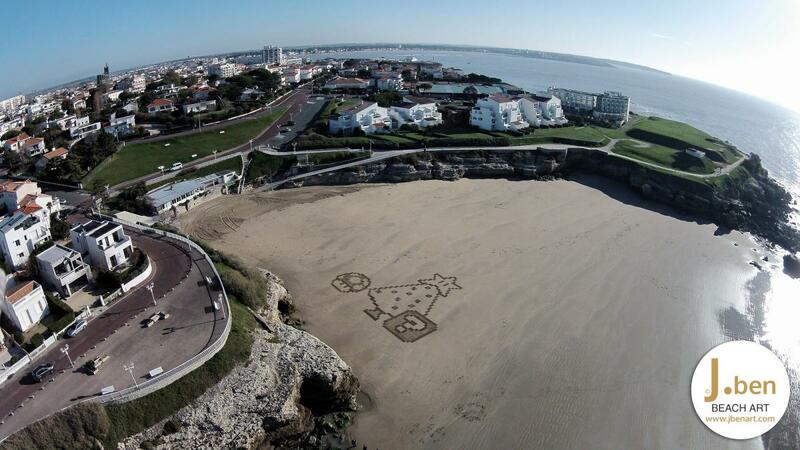 This project was conducted with the help of Nico and Emmanuelle who came to lend me a hand to the establishment. 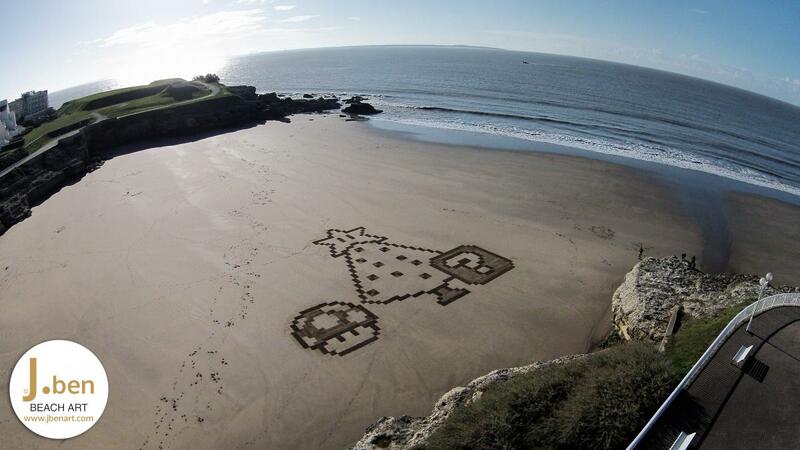 It is a design that has been prepared on the paper before and I did not know really what it could give once on the sand. Finally the rendering is exactly what we expected and we had a huge satisfaction when it was finished. We had a few ups and downs, not far from several 3h for all plots and filling. 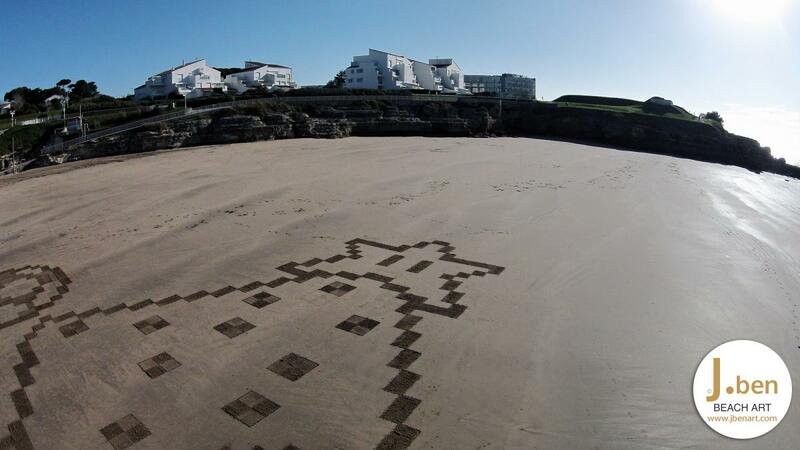 A beautiful morning light allowed me to make beautiful pictures to showcase this new concept of pixel beach art. Error: Error validating access token: Session has expired on Monday, 05-Nov-18 05:38:02 PST. The current time is Monday, 22-Apr-19 08:03:11 PDT.